The Champ Clark House is the Bowling Green, Missouri residence of The Hon. 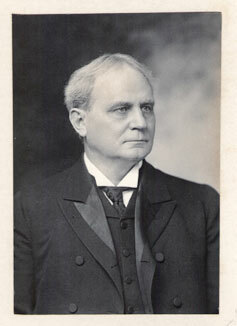 Champ Clark—congressman from Missouri’s Ninth District who presided as Speaker of the U. S. House of Representatives from 1911 to 1919. His son, Bennett Clark, was raised here and went on to distinguish himself as co-founder of The American Legion and U. S. Senator from the Show-Me State. Other notable family members, including the Speaker's famous daughter Genevieve, resided here as well. When they moved to the house in 1898, Champ and his wife, Genevieve, named it Honeyshuck,… for the seed-pods of the locust trees in the yard. Now a National Historic Landmark and regional museum, the Clarks’ home is open to the public with collections that interpret not only the personal lives and political legacies of the Clark family, but the remarkable records and rich heritage of public service by elected office-holders from Pike County and Northeast Missouri. 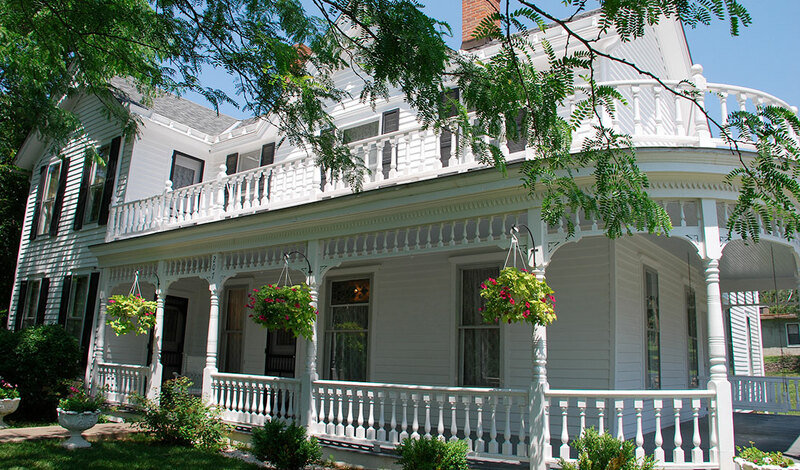 Please visit the remainder of this site to learn about the colorful history of the Clarks, upcoming events, and ways in which you can contribute to the future of the Champ Clark House. Karen's Catering has partnered with Champ Clark Honeyshuck to offer a unique dining experience, Dinner at Honeyshuck! 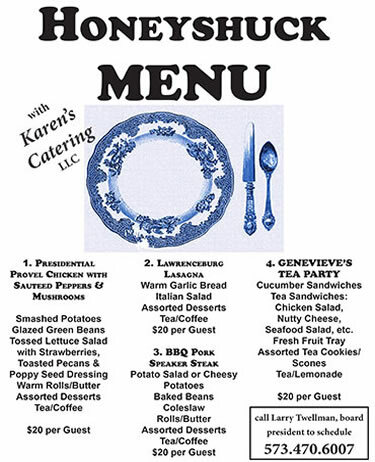 A Bowling Green native, Karen Leverenz is well-known for her cuisine, including her many desserts (her favorite culinary endeavor!) She has catered everything from alumni and YMCA banquets, weddings and rehearsal dinners and is a perennial at Rotary and Lions Club meetings.